Self Help Goddess Secrets Exposed! ARE YOU READY TO CREATE YOUR IDEAL LIFE? Because I know that you're ready to create the absolute life of your dreams, and I can help! For as long as I can remember, I’ve always had an enormous passion for creating my ideal life and making my wildest dreams come true. I can’t explain why, but this just something that's always been very important to me. Today, I help others do the same thing! Learn How to Make Your Wildest Dreams Come True! IF SO, THIS BOOK WILL SHOW YOU HOW! 1. Learn How to Use the Law of Attraction Effectively to Get Results in Your Life ONCE AND FOR ALL. 3. Be Guided Through an Exercise That Can Help You Win Back a Former Significant Other or Collect a Long-Standing Debt That Is Owed to You. 4. Find Out How to Make Even the “Worst” Situations Work Out to Your Advantage Every Single Time. 5. Get In Touch with Even Your Wildest Dreams, No Matter How Long Ago You May Have Forgotten About Them or Given Up on Them. 6. Learn Fun Tools & Techniques That Even the Most-Respected Authors & Coaches Out There Use In Their Daily Lives to Make Their Dreams Come True. 7. Prepare for Your Success In Advance So That It’s a Given. 8. Finally Be Happy, No Matter What Is Going On in Your Life. 9. 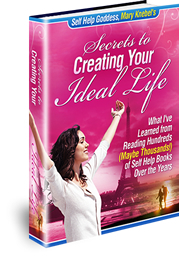 Uncover Several More "Secrets to Creating Your Ideal Life." Over the years I've read every book I can find that will help me create my ideal life and pursue my deepest passions. Today I'm a coach and help others do the same thing! I just love feeling like anything is possible, that I can be whomever I want, and that life is like one big Sears catalogue, just waiting for me to pick what I want! In the book, you'll learn about how I moved to France at the ripe old age of 22, and didn’t have a job lined up, or a place to stay, or even an idea of what city I would live in once I got there. All I knew was that I had to go! Armed with several of my favorite self help books for inspiration and guidance, as well as a healthy dose of youthful naiveté, I boarded a plane and took off an a grand adventure. I managed to find a job as a translator at a well-known international law firm, move into an apartment in one of the chicest quartiers in Paris, make a ton of great friends, and even spend lots of time at an expensive country estate! "Secrets to Creating Your Ideal Life is an amazing resource for anyone who wants to make big, positive changes in their life. Mary focuses on your mindset - and how to get from where you are to where you want to be - in a way that is empowering, life-changing, and exciting." YES, I WANT TO MAKE MY DREAMS COME TRUE! Everything in this ebook has been tested over and over again by me, in my own life, and has helped me achieve remarkable results. I have only included tools and techniques that I have personally used and that have helped me; if not, you won’t find them here. You will be learning the exact same secrets I used to create my miraculous two-year journey in France, as well as countless other experiences in my life that have unfolded the exact same way. I personally guarantee that this book will be everything you're intending, and MUCH MORE, but if you are not fully satisfied I will give you an entire refund, no questions asked. Whatever your dreams may be, you will find tools and techniques in these pages that will steer you in the direction of making even your wildest dreams come true. I always say, the wilder the better! Since I started this website, people have been asking me when I was going to release a book of my own to share with you what I’ve learned over the years. This is it! In these uncertain times, everyone wants to know how to fill their lives with love, abundance, and ease. This ebook will show you exactly how to do that, and then some. Stop living an ordinary life and start creating your dream life. With this ebook you can get started TODAY! Make Today the Beginning of Your Brand New Life. Because I am dedicating 2012 to helping as many people as possible achieve their dreams, I'm pricing this ebook at only $17.00. I've been told I should be charging much higher, but I'm not doing this for the money. I'm doing this because I want people to finally be HAPPY and living the life of their dreams! Compared to the secrets you will learn to make all of your dreams come true, $17 is a steal. 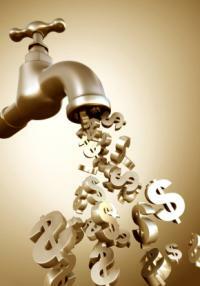 I've spent thousands of dollars on self help products over the years, so you don't have to! It is no accident that you have ended up on this website. It means you are meant to be living your ideal life, and you are meant to start living it NOW! Don’t wait any longer to start making your wildest dreams come true. Haven’t you waited long enough already? YES, I WANT A COPY ASAP! stand terms so you know exactly what to do to create the changes and results you are looking for in your life. You can't go wrong if you implement the tools and techniques in this book. Hey, if I can do it, anyone can do it! This product is available for immediate download, and will be downloaded to your computer instantly in PDF format. Be sure to grab your copy now for only $17.00, and start making your dreams come true! Aren't you ready to being living the amazing life you *know* you are meant for? STOP WASTING ANOTHER MINUTE, AND START LIVING OUT YOUR DREAMS ALREADY!! LAST CHANCE TO ORDER YOUR COPY HERE!